Republican political rallies — Ryan was flanked by two large screens that projected a favorite tool of academics and businessmen: a PowerPoint presentation. Dave Weigel is unimpressed: “That’s all it takes? Four slides about the size of the debt?” I’m unimpressed, too, but for a different reason: do wonks really use PowerPoint? I think most of them would recoil in horror at the thought. 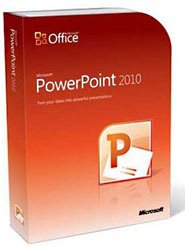 PowerPoint decks are the favored tool of the well-coiffed marketing weenies, not the number crunchers. True wonks would be a lot more likely to either (a) spend hours lovingly kerning their equations in LaTeX and producing 3-D scatterplots in R, or (b) spend five minutes pounding out something unreadable in Emacs, accompanied by a crude line chart generated by some completely inappropriate shell script. So then: Ryan isn’t a wonk. He’s a marketing weenie. And here’s a pro tip from a fellow member of the tribe: When you see a PowerPoint presentation, usually the first thing you should do is put your hand on your wallet. I think that’s good advice in Ryan’s case too. He’s not wonking out, he’s trying to sell you something.